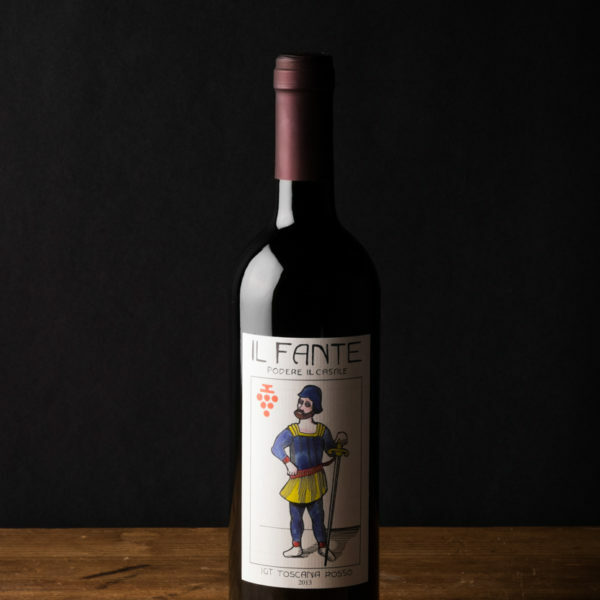 Il Fante organic red wine - Podere il Casale, Tuscany. Organic Garden Restaurant, services, products. The jack depicted on our wine label indicates a wine suitable for everyday dishes, such as pasta, slightly aged cheeses, risotto or red meat. 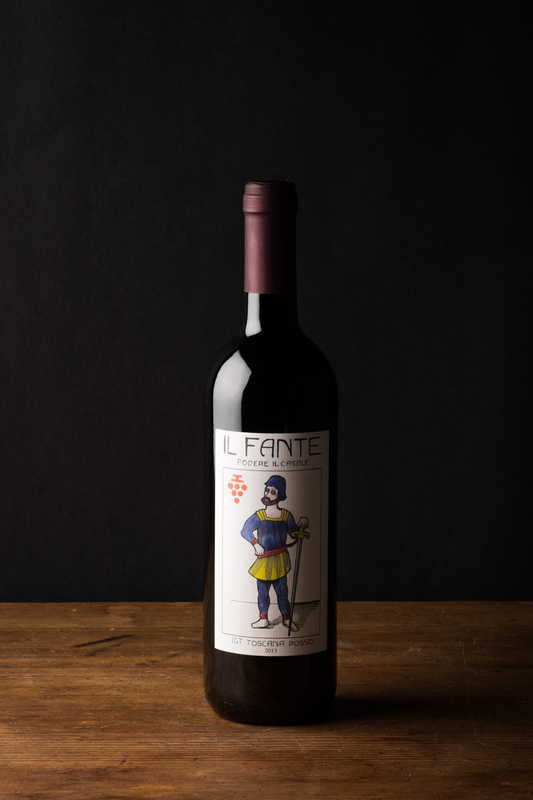 Our Fante is a a wine that would have been drunk by the hardworking farmers of the Orcia Valley after a long day in the fields, while our Regio wine (the king), made from 100% Sangiovese grapes, would have been suitable for the people of the rich or noble families living here in tuscany. Garnet red, notes of red fruits such as cherry or ripe strawberries, a hint of balsamic vinegar. Smooth taste, easy drinking wine.